Mae Sue Dover Moore, age 99, of Tucker, Georgia, formerly of the Macedonia Community in Oglethorpe County, died Tuesday, January 15, 2019 at Grace Healthcare of Tucker in Tucker, GA. Mae was born May 3, 1919 in Winterville, GA to the late Lee Roy Thomas Dover of Habersham County and Holly Anne Fleeman Dover of Oglethorpe County. She attended Arnoldsville High School in Arnoldsville, GA and was a member of Macedonia Baptist Church. 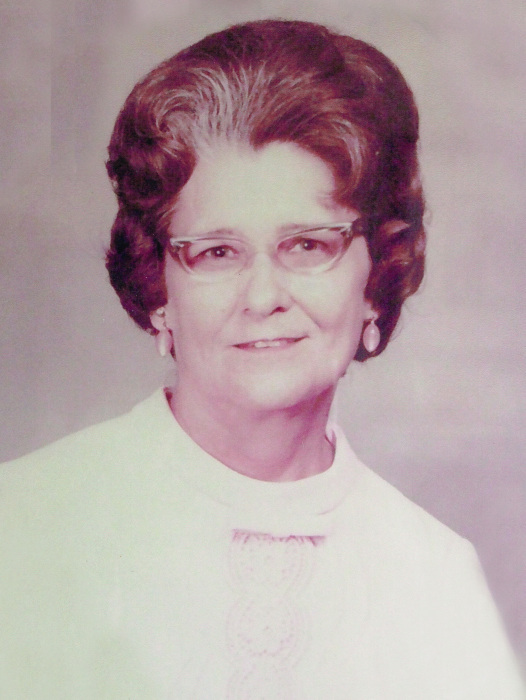 On March 16, 1940 she married Elmer Gordon Moore, Sr. She was a homemaker and for nineteen years she was a foster parent, retiring in 1984. Over the years she influenced the lives of many young people. She enjoyed reading and was an avid gardener. She is survived by three daughters, Joyce Beale and husband Samuel of Tucker, Georgia, Polly Hatfield and husband Robert of Birmingham, Alabama and Charlotte Compton of Lexington, Georgia; a son, Elmer Gordon Moore, Jr. and wife Deborah of Hartwell, Georgia; daughter-in-law, Jackie Moore of Lavonia, GA; sister, Ruth Wood of Greensboro, Georgia; 15 grandchildren including three grandaughters, Paula Beale Hamrick, Darlene Moore Bohanon and Kim Hatfield Beam; 36 great grandchildren; numerous nieces, nephews; and a host of other relatives and friends. She was preceded in death by her husband, Elmer Gordon Moore, Sr.; two sons, Warren Aubrey Moore and Hugh Dover Moore; siblings, Annie Lou Lyle and her husband Allen, Ruby Lee Gunn and her husband Lonnie, Guy Dover, J. T. Dover and his wife Margie, Bishop Dover and his wife Winnie, Doris Burt and her husband Marvin and Leola Dover. Funeral Services will be held Saturday, January 19, 2019 at 2:00 p.m. at Macedonia Baptist Church with grandson, Dr. Robert B. Hatfield, Jr. officiating. Interment will follow in the church cemetery. Serving as pallbearers are grandsons: Samuel Beale IV, James Beale, Jeffrey Moore, Brian Moore, Lee Moore, Randy Moore, Josh Compton, Chris Compton, Baker Martin, Michael Martin and Daniel Martin. The family will receive friends from 1:00 p.m. until time for the service at the church. McCommons Funeral Home, 109 W. Broad St., Greensboro, GA, (706) 453-2626, is in charge of arrangements. Visit us at www.mccommonsfuneralhome.com to sign the online guest register.